Soyuz is getting closer to French Guiana! While the alteration work is going on at the Guiana Space Center, French space agency CNES and Esa signed an agreement on the setting up programme. 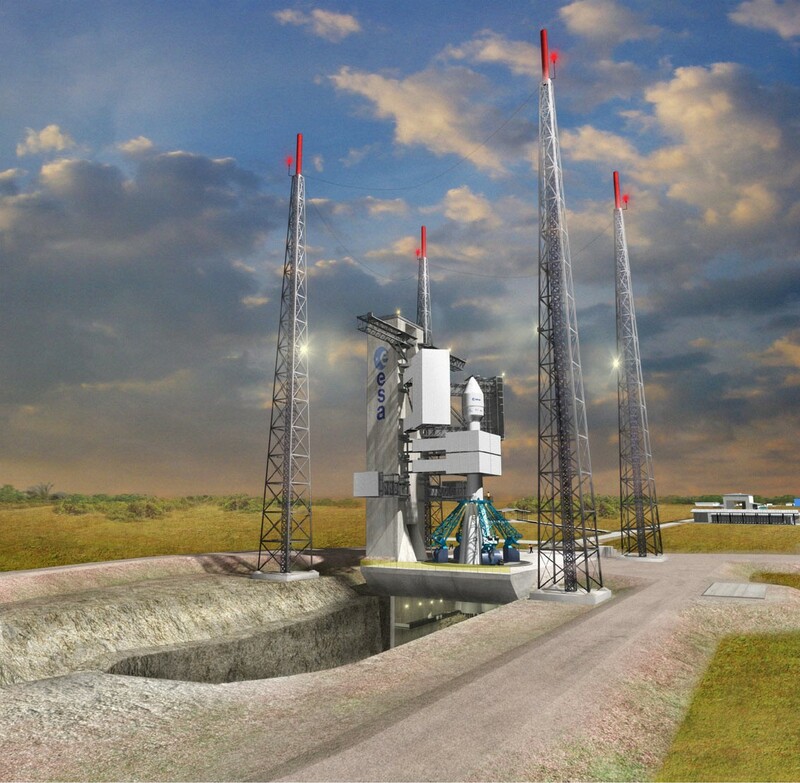 This gives a schedule for the Russian launcher’s installation at Europe’s spaceport. The adjustment for Soyuz begins in Guiana: launching expected in 2008! 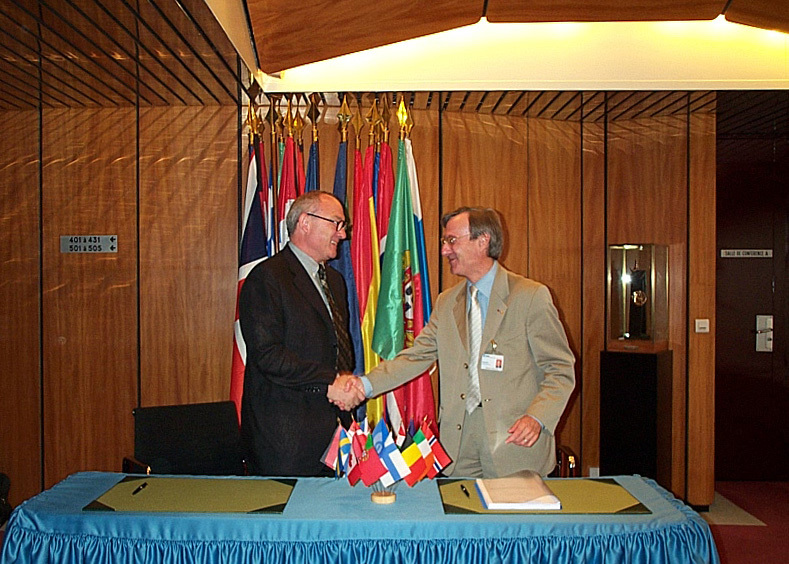 On 19 July, Yannick d’Escatha, president of the CNES, and Jean-Jacques Dordain, Esa Director General, signed the development contract for the Soyuz in Guiana programme. This contract is a milestone. It gives the project a decisive impulsion and allows the alteration work to begin, further to preliminary settlements that were started in 2003. The Guiana spaceport has to adjust its facilities to the Russian launcher. A schedule has been made possible: Soyuz business concern at the Guiana Space Center should begin during the 2nd half of 2008. Having the Russian launcher Soyuz at the Guiana Space Center is an unprecedented event in the cooperation between Europe and Russia in the launcher’s sector. For the 1st time, Soyuz will be launched from another spaceport than Baïkonur or Plesetsk. This close collaboration allows access to space for Europe with a medium-class launcher. Soyuz complements the range of launchers departing from Guiana Space Center: Vega and Ariane. A new version of the Russian launcher will arrive in Guiana: Soyuz 2 is a new version of the mythical launcher, which performances have been improved. Soyuz 2 will be able to orbit up to 3 tonnes, than is to say twice Soyuz could do when launched from Baïkonur. The Guiana Space Center’s location, close to the equator, is a very favourable factor for satellites launching. The 1st launch will take place at the end of 2008: Soyuz 2-1a version, with has been tested successfully on November 2004, will lift off. Then the 2-1b version, operational in 2006, will follow.